A wedding ceremony and a glass of champagne is an elegant European format to tell each other the most important word – “Yes!”. 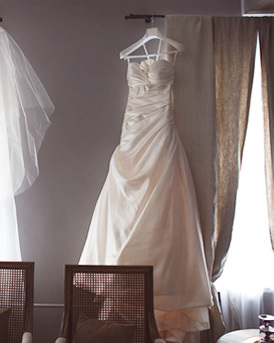 We recommend choosing the garden slope, our Patio or Small Salon for a wedding ceremony. Elegant interiors will create a touching and festive atmosphere and support the celebration stylized by you. Our shady, flowery garden slope with terraces and a panoramic terrace are effective natural entourage for a wedding ceremony, a welcome cocktail and a unique wedding photo shoot. As a welcome drink we can offer champagne accompanied with parmesan chips and fruits. Guest locations are available for a 2-hour photo shoot (excluding services of the photographer). We will be glad to discuss with you the details of your celebration. 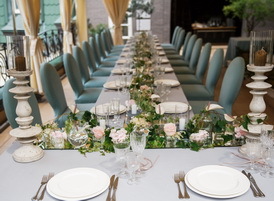 Our Banqueting manager Katerina Misura will help to create a menu and will offer the best options on a locations decoration.